You might not know that the ‘perfect solar day’ is a cool, windy, clear summer’s day. Here’s how solar works. 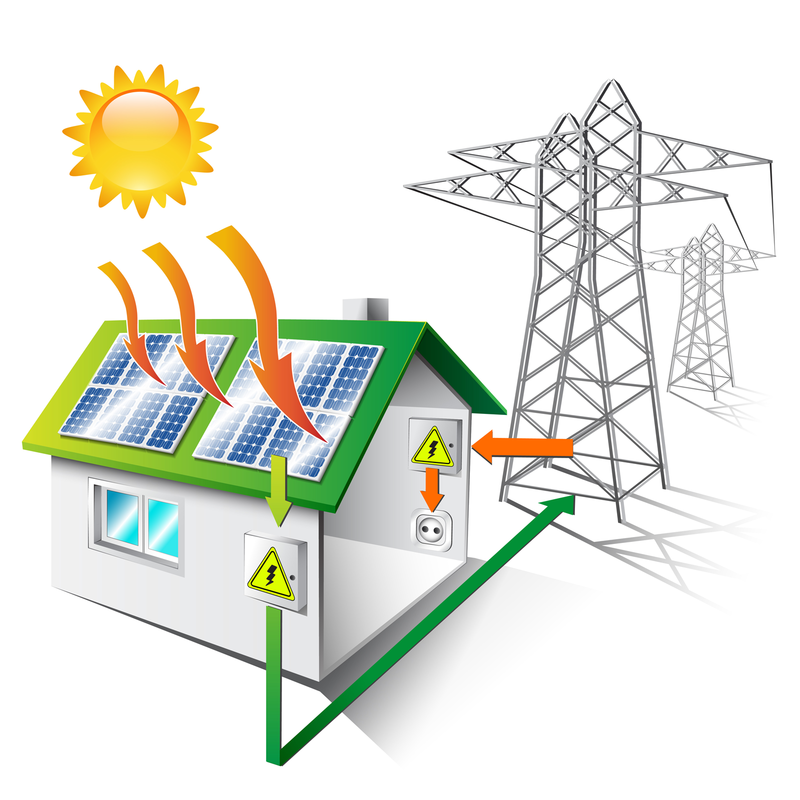 Electric Solar Systems is the common reference to ‘Photovoltaic Systems (PV)’. That’s the first technical bit. Solar panels are installed on to the roof (or, in some instances ground mounted), in optimal positions for sunlight, where the sunlight is converted into electricity. More electricity is produced when the sunlight strikes the panels directly. However, when the panels are hot, they work less efficiently, hence, the perfect day actually being cool, windy, and clear. The DC power is converted to AC power via the inverter. The AC power is first consumed by your own energy use in the house during the day. A meter measures your energy use, and sends any unused energy to the grid – where your power company will pay you for this extra electricity you’ve generated (note this is at a lower rate than charged, but offers additional savings). Of course, on the flip side, a grid connected PV system does not include any battery storage, so at night you’ll use power drawn from the electrical power grid, i.e. supplied by your power company. Battery technology to store domestic electricity for use is still costly, although that is changing. We do also offer off-grid battery solutions if you’re interested, but also note that all grid connected solar systems we install will easily connect to any battery as the technology is more affordable (we expect this to be within the next 2 years). The biggest question is how much will I save? And how long will it take to recoup my investment in solar?